Get productive faster, learn the implementation details later. Boost your data scientists' productivity and standardize their deliverables. Stop writing tons of boilerplate source code and focus on your core expertise. Teach your mentees new AI concepts hands-on without distraction by implementation details. Deliver production-ready and documented AI solutions to your clients at the click of a button. Develop powerful end-to-end Deep-Learning-based AI systems on a pure concept level using an intuitive GUI without writing a single line of code. Fully documented and style-compliant source code is then generated for training, evaluation, and deployment of the designed AI system, using well-known libraries and frameworks such as TensorFlow or Keras. All generated source code can be edited at any level of granularity and executed effortlessly, offering you ultimate flexibility and a significant productivity boost. Especially the first steps of AI development are cumbersome as developers are faced with an ever-growing universe of software to choose from, to install, to optimize, and to manage. We guide you through these initial steps with GUI-based interactive setup instructions. In addition, you can choose from a selection of pre-configured development environments which are available as virtual machine images for popular virtualization tools such as VirtualBox or Docker and for cloud providers such as AWS. Never waste time again browsing the web for setup guides and reading endless articles about complicated setup steps but rather get started immediately. Sigurd is an expert in machine learning with a specialization in Deep Learning for time series data and Natural Language Processing and more than 7 years' experience in AI R&D. Sigurd has been a research scientist at Siemens Corporate Technology for more than 3 years. He received a PhD in multi-task and transfer learning with recurrent neural networks from Technical University of Munich and a master's degree from Stanford University. Sigurd's master's thesis in distributed computing for machine learning was advised by Prof. Andrew Ng. Denis is an expert in machine learning with a specialization in Deep Learning and (Deep) Reinforcement Learning and more than 7 years' experience in AI R&D. 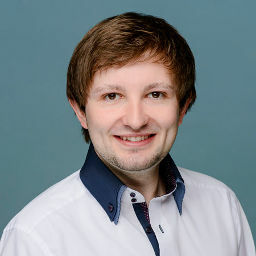 Denis has been at Siemens Corporate Technology for more than 3 years as a Senior Key Expert for Deep Learning and Research Lead of the Siemens AI Lab. 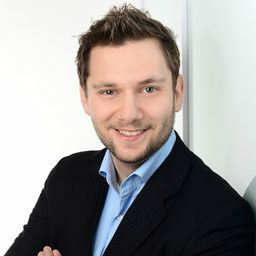 He received a PhD in representation learning on knowledge graphs from Ludwig-Maximilian University of Munich, supervised by Prof. Volker Tresp, and a master's degree in Computational Biology from the Ludwig-Maximilian and Technical University of Munich. Thank you for your subscription. You've been sent a confirmation email. The email might take up to a few minutes to arrive. If you're having trouble finding it, please also check your spam folder. Haven't received a confirmation email?